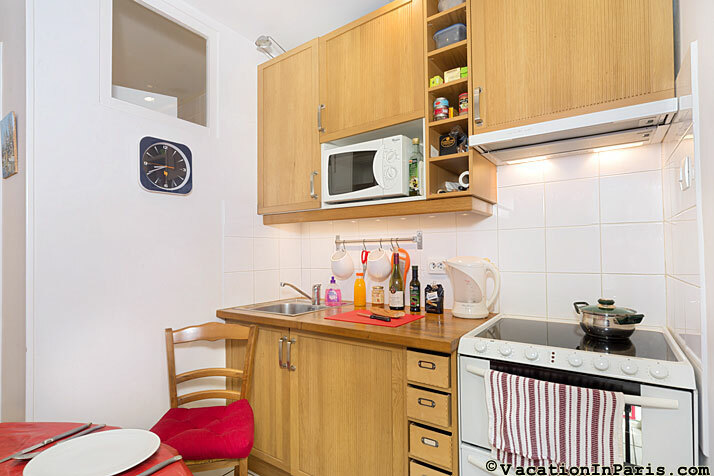 Sleeps up to 4 - Walk to the Tower and rue Cler just around the corner! 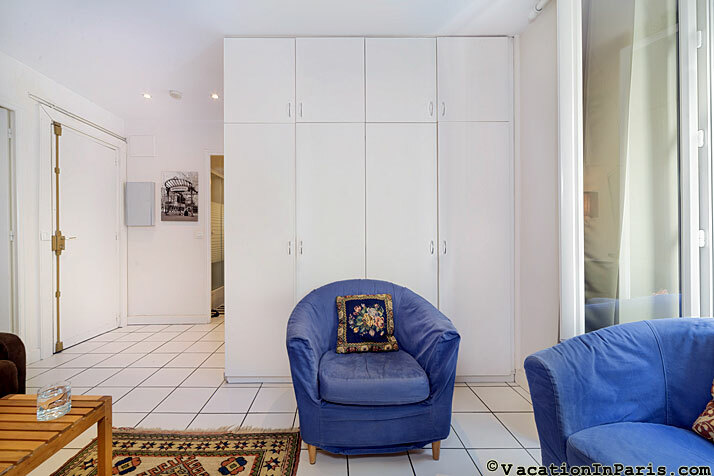 Located just around the corner from the rue Cler and Eiffel Tower, this apartment is sure to please all. 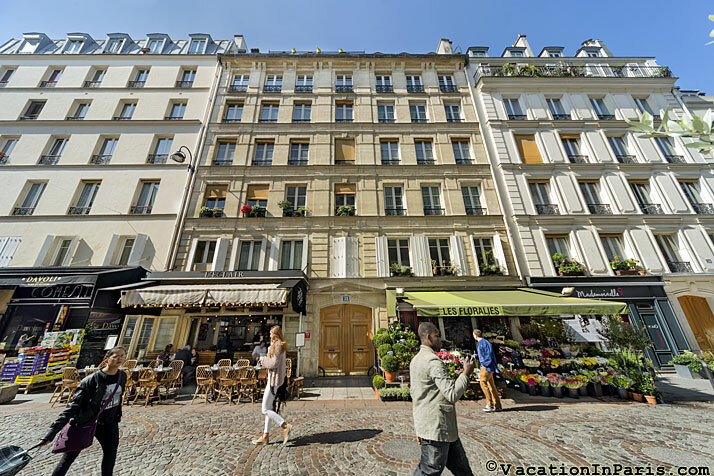 Head to the rue Cler for wine & cheese and take a stroll to the Eiffel Tower for a picnic in the park. 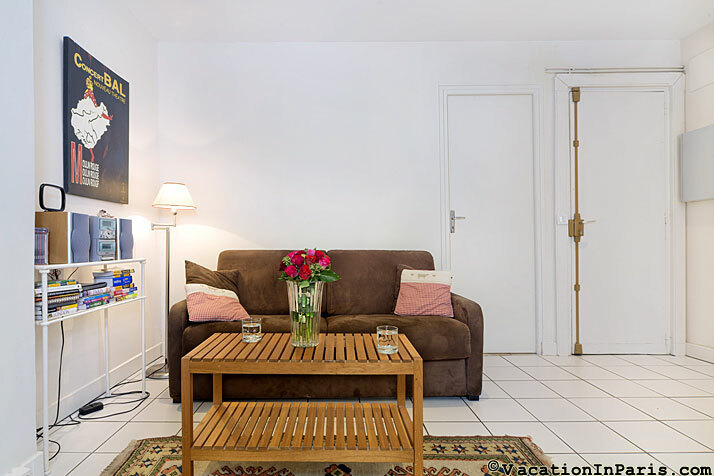 This one bedroom Paris apartment offers a superb location in the 7th arrondissement in Paris. 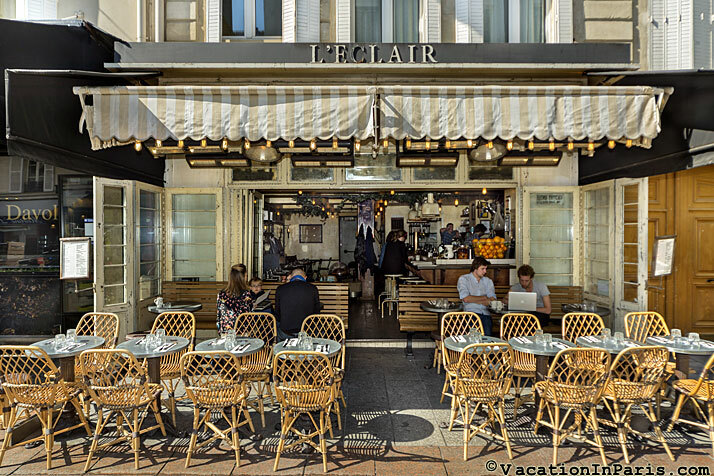 Enjoy the wonderful pedestrian street of rue Cler where you can purchase a gourmet meal of the freshest quality fruits, bread, or fully prepared lunch or dinner. 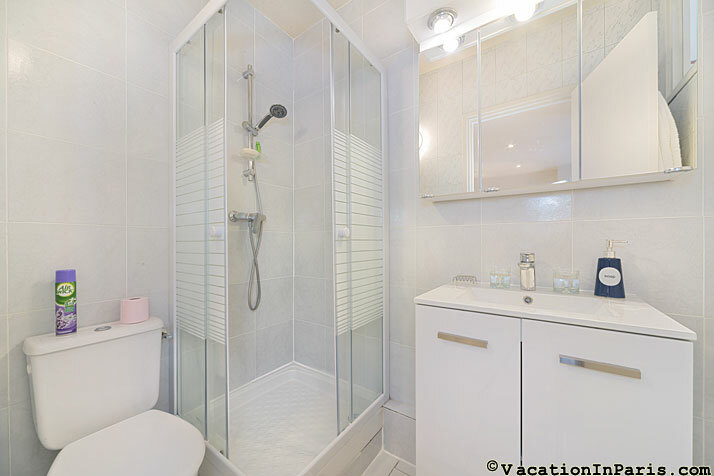 Located on the 1st European floor (2nd US) this 37 m apartment is unique in its layout in that it offers a bath and a half so each sleeping area has its own bathroom. 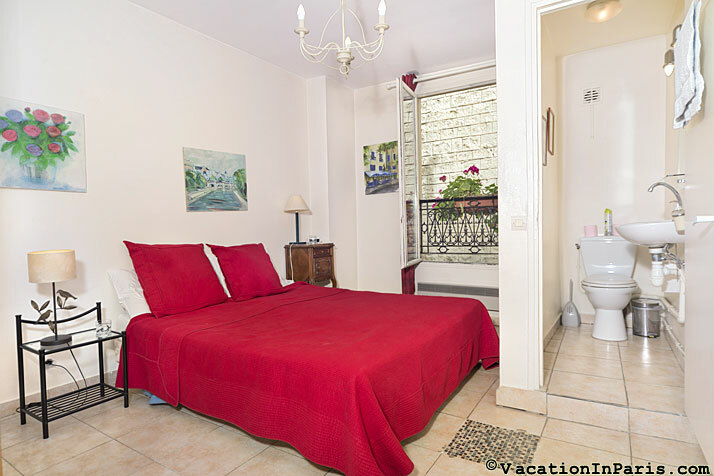 The bedroom at the back of the apartment overlooks the small courtyard below and is furnished with an American queen sized bed, dresser, ample closet space and an en-suite half bath. 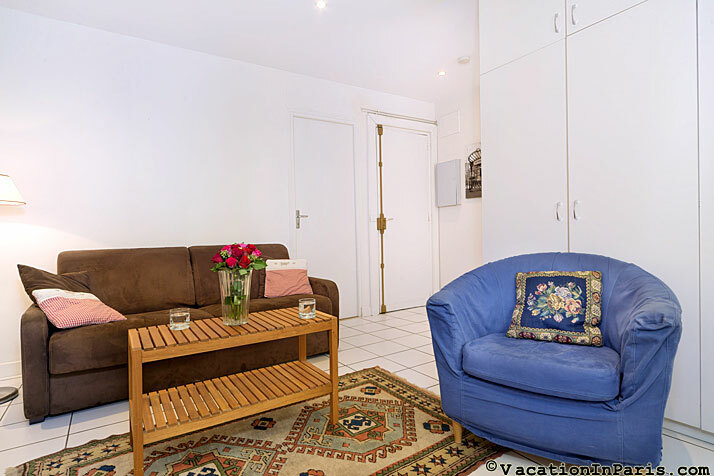 The living area has a comfortable high quality sofa bed and side chairs, and again, plenty of closet storage. 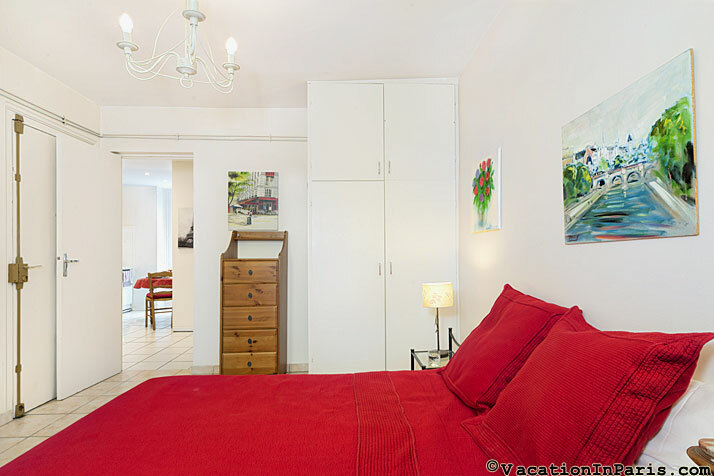 Large, well insulated windows overlook the cobblestone alley below and allow good natural light in the apartment. 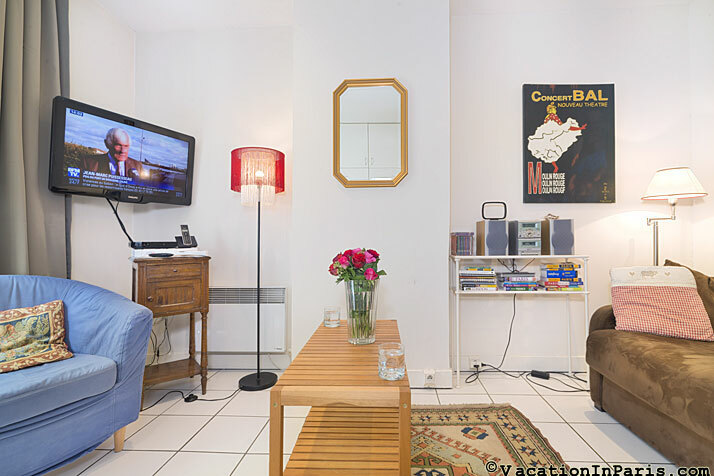 A flat screen TV with cable is provided with CNN and BBC in English as well as French stations. 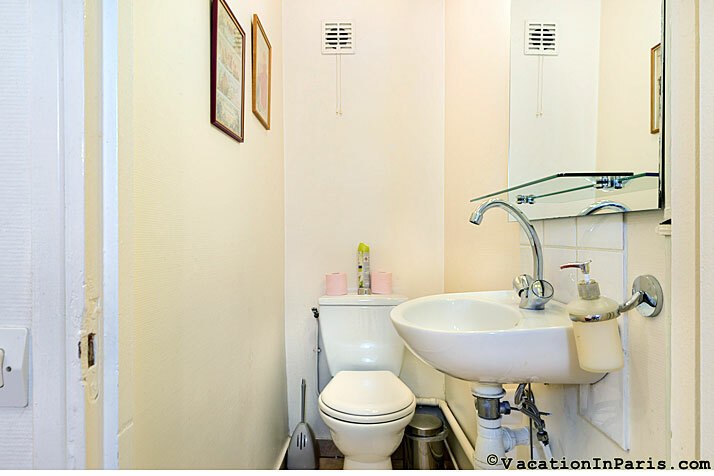 Included is high speed Internet access with Wi-Fi to keep in touch with friends and family along with free calls to North America. There is also a radio/CD player for when you're home relaxing from your busy day sightseeing. 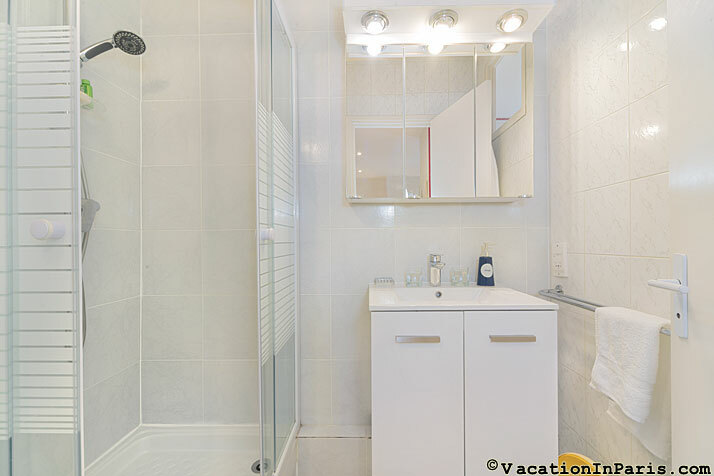 The recently renovated bathroom adjoins the living room and has an enclosed shower, large vanity and toilet. 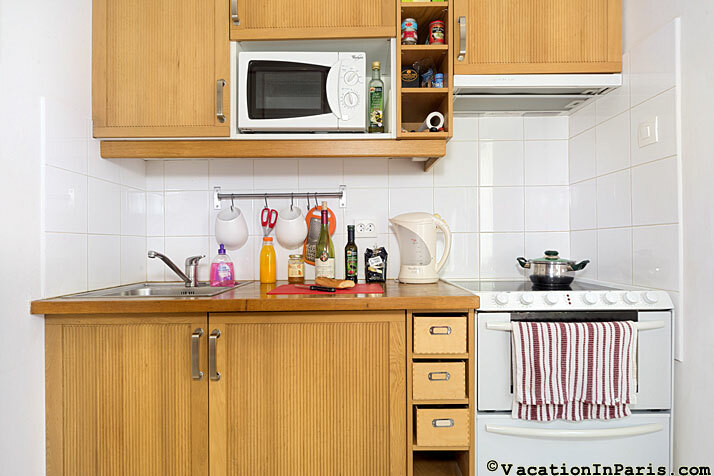 The kitchen has all of the basics with 4 burner stove top, dishwasher, oven, microwave, coffee maker, refrigerator, plenty of dishes and pots and pans if you prefer to prepare a meal and eat in. 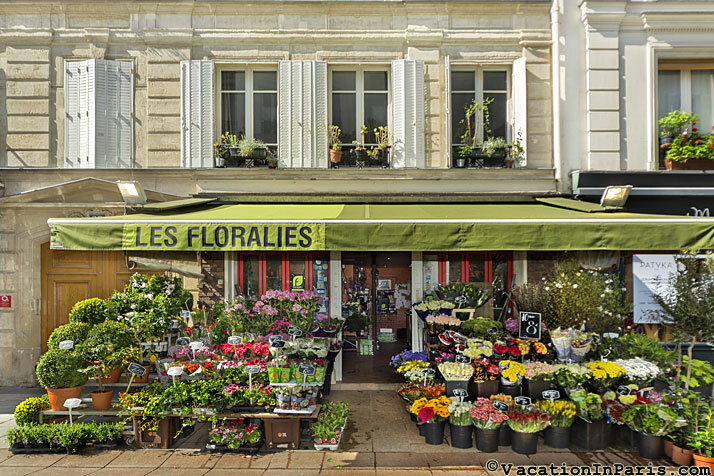 Enjoy your morning coffee and croissant from the corner bakery next to the window with flowering window boxes. The apartment building dates back to the early 1800's. Because of it's close proximity to the Eiffel Tower, it was used to house some of the workers that built the tower in the late 19th century. An interesting bit of history to contemplate as you relax in the apartment. The neighborhood offers shopping, dining, and many sightseeing opportunities. 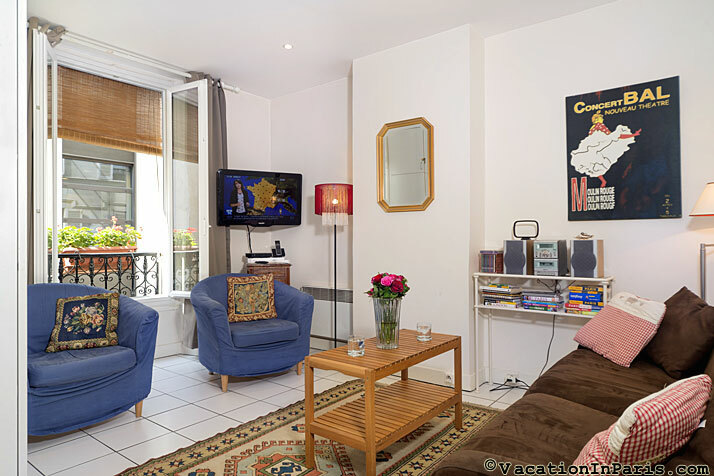 It is easy to access all areas of Paris from the nearest metro stop at Ecole Militaire. 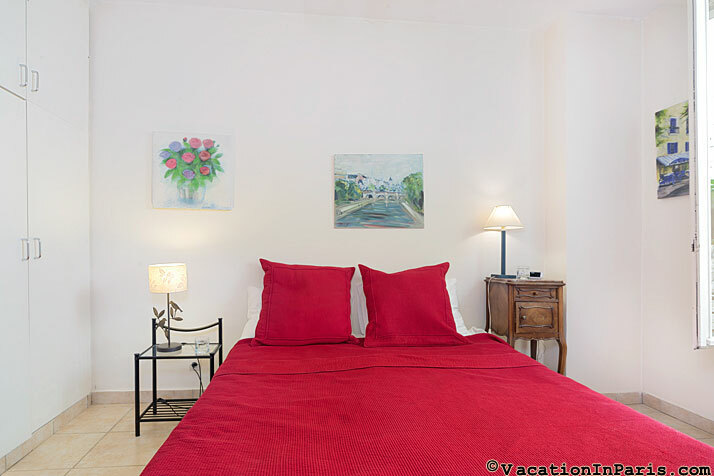 Within walking distance be sure to visit the Eiffel Tower, Hotel des Invalides with Napoleon's Tomb with the War Museum, and the Rodin Museum with the famous garden of sculptures. 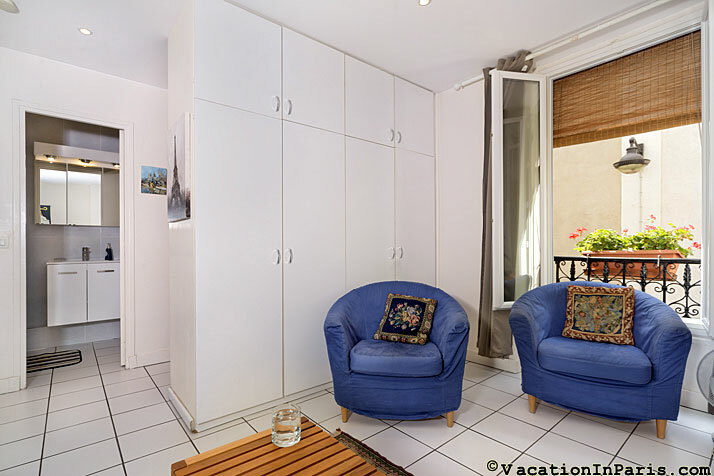 For those who enjoy a pleasant stroll, the Musee d'Orsay, the Louvre, and Notre Dame can be reached by following the Seine river. 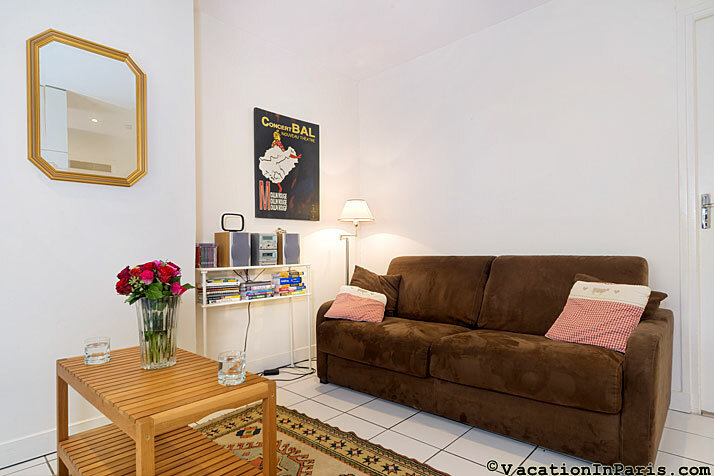 This apartment is one flight up from the Garden Studio apartment (ID #2) in the same building. 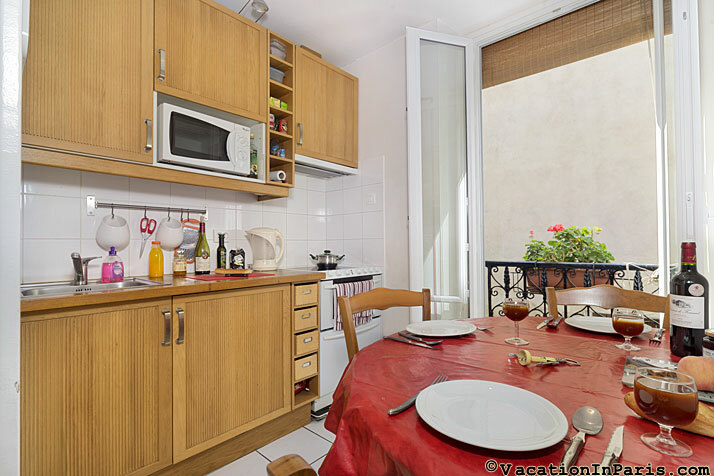 For up to seven people traveling together that would like to stay close to each other, rent both apartments. Once you have tried this area you will appreciate its nickname of Seventh Heaven and want to immediately plan a return trip!